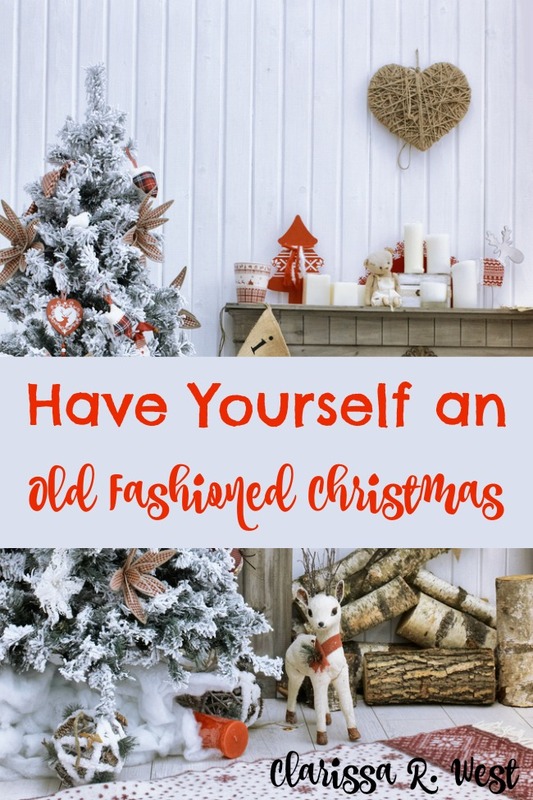 If you want to have an Old Fashioned Christmas, consider doing some of these things with the kids and making them a family tradition! Get a real tree. Nothing like picking out your own, unique Christmas tree with all of its imperfections to bring the warm feelings of times gone by to your Christmas celebrations. If you can hike out on your own land and cut it down to drag home, even better! Homemade Decorations. Pop some popcorn to string with a needle & thread, along with cranberries. Make some colorful paper chains. Cut out your own homemade star tree-topper. Make some ornaments. This Penguin Foam Ornament Craft Kit looks fun! And Pinterest is loaded with ideas! Christmas Candy. You can buy the little round containers of old-fashioned hard candies, or make your own! There are a variety of recipes to choose from, just search hard candy on allrecipes.com. Candlelight. Spend Christmas Eve using only candlelight or lanterns. The warmness & coziness will make it easy to imagine you are transported back to a simpler time. Board Games. Turn off the T.V. and put away the iPads. Pull out an old board game and enjoy some real family time around the kitchen table in the soft glow of candlelight! The Farming Game was always a family favorite when I was growing up! Christmas Carols. Music is beautiful and adds so much to a celebration. Having some music softly playing in the background can help set a joyful mood. 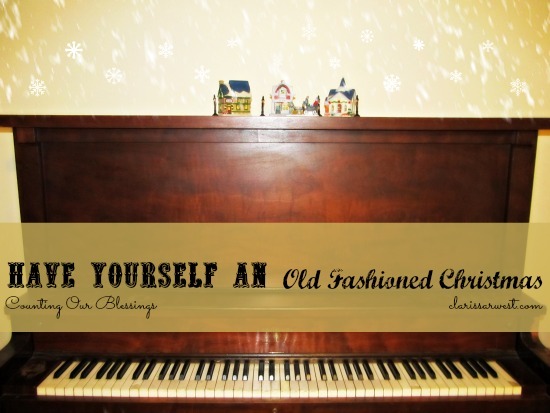 Old Fashioned Christmas Carols are a great way to keep everyone focused on the true reason for the Christmas Celebration, which is to remember the birth of our Lord and Savior Jesus Christ. Great ideas! We actually do most of them. Turn our phones off for the day (Christmas Eve is when we do our gift opening etc.)too.. And make gingerbread houses is another thing we have done! Awesome ideas! We do most of these, though this year we didn't make any homemade decorations really. ( Liberty made a few on her own) We do board games and puzzles 🙂 Right now there is a puzzle being made on our dining table 🙂 And of course ALWAYS beautiful Christmas music going! I also burn candles if I have them and this year we put Christmas lights up on our piano and around our Kitchen window and that makes it feel so cozy! I love baking Christmas goodies too! Fun ideas! We do some of these, but should do more of them!